International markets are no longer reserved to tech giants and huge industrial companies. Localization services prepare your website to speak about your product in any language, while international marketers can take your brand global with relative ease. As long as you’re ready to adapt your products, services and content to local markets, you have every chance of achieving international success. Thanks to the internet and the traffic it generates, any small business can sell anywhere, from Mexico to Mozambique–and even in more traditionally complex countries, like China or Japan. But before you start calculating the ROI, you need to prepare your company for the challenge. 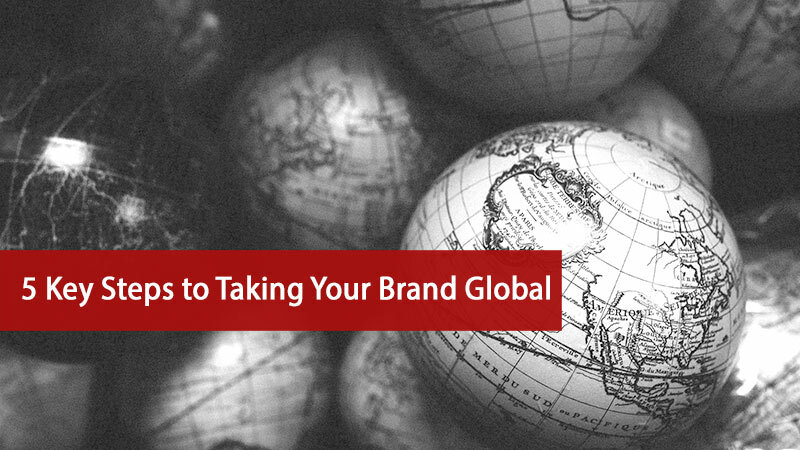 Check out these five key steps to taking your brand global with success. Going global is all about speaking local. Meaning you need to approach each market individually if you want to increase sales and become an important player. In both situations, you’ll have to localize some parts of your marketing efforts – price, promotion, distribution, and so on. Apple does it, despite its strategy of having one product that fits all markets. The company provides localized customer service for each country in all their stores, while its website offers carefully localized content for every language their customers speak. Each country has its own particulars when it comes to customer behavior and buying habits, and all governments have their own laws and regulations for businesses. What works perfectly for your company in your homeland could become a total disaster for your future sales abroad. Building a strategy will allow you to anticipate problems and avoid wasting resources on activities that won’t pay off. Because whether you have to cut prices or invest more in customer care, you can’t let standards slip in terms of quality and brand image. Going global is, first of all, about choosing the right local markets to sell your product. However, the decision doesn’t belong to you entirely. 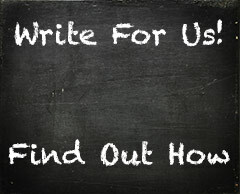 A detailed research on your present audience will help give you the right answer. Identify countries where you’re already popular and check if you can increase your market share by being a constant presence in the local market. Starting with countries where people already have some basic information about you can increase your chances considerably. How many competitors will you have to deal with? What are the local trends in your niche? What makes your product better than local alternatives? Can you deliver a product that respects local regulations? Get point-by-point answers to these questions to have a clear idea about the possible demand for your product. Try to understand any market well before approaching it. Almost everyone who has internet access searches for information about a product online before making a purchase. And 52 percent of users prefer to shop from websites that speak their native language. So, it’s time to teach your website some local languages, to gain trust overseas. Website localization is at the heart of today’s digital marketing. It’s making your English-only website a multilingual tool for various audiences worldwide. Start with the technical details. It’s not a simple word-by-word translation because you have to adapt everything to local audiences, to increase trust and engagement. This includes date and time format, currencies, measurement units, address format, images, icons and more. Then you’ll need to optimize your website for search engines in various languages. Improve your local SEO strategy by digging for new keywords and by building backlinks in the targeted language. Design your website to support all following changes. Languages are different and what can easily be said in three words in English may need an entire phrase in another language. Make sure your buttons and CTAs stick within the original design, either by coming up with smart translation or leaving room for longer messages. It’s mostly up to you, but research on this topic is fundamental. If your name is invented, like Skype or Google, then you may go with the original, (as long as the word you’re using doesn’t already have a meaning in the target language you’d rather avoid). Many brands have failed in name localization. Among the most famous is Nokia and its Lumia smartphone, which translates to “prostitute” in some Spanish dialects! Translating your name and slogan word-by-word is also tricky, because translation may sound odd in other languages. A good localization team can come up with smart solutions for your brand, by putting together the right words. Work with local experts, to avoid bad associations and any possible cultural misunderstandings. Coca-Cola’s brand name in China was translated to “Bite the Wax Tadpole”, the first time around, as a result of not planning localization well. Pay attention to small details, such as your logo, brand colors and images. Colors have different meanings from country to country, while visuals – especially photos of people and specific places – can exacerbate cultural differences if used incorrectly. Moderation should be the key when making changes to your brand identity. You want your usual customers to recognize your style, no matter where you sell, so be sure to avoid brand dilution on your quest to fit in. Customers should benefit from all your localization efforts, whether they use your website to learn more about a product or enter your physical store. Train your staff to provide high-quality services in all languages, together with delivering a good product. Localize all content, especially when it’s meant to help the buyer and not just to make you more visible. Edit all instructions, contracts, terms of agreement, or any other piece of text your buyer may need to get the maximum out of your product. Then make sure your customer care respects your homeland standards in all local markets. Shipping, packaging, product refunds without additional costs. These are important features customers look for when choosing one product over another. And they’re usually willing to pay more to get the best services. Moving from national to international is an important step forward for your business. You’ll need to be ready to invest hours of hard work in putting together the right team and creating the perfect assets. Plan way ahead of the product launch and make decisions based on market research, rather than your instincts. You need deep knowledge about your new customers to be able to deliver a high-quality product that meets their expectations and takes your brand to international success. Christina Comben is Content Manager at localization services provider, Day Translations. With over a decade of experience in copywriting, content creation and digital marketing, when Christina isn’t at her computer, you might just catch her surfing a wave or brushing up on one of the five languages she speaks.